When the 1970s arrived, it brought tough times for AC. It was a bumpy road that saw the company began building replicas of the Shelby Cobra – a car based on their Ace. Bankruptcy, joint ventures, and corporate sales followed. Production of Cobra replicas moved Germany and then in 2012, the company showed this concept at the Geneva Motor Show. With an original design by Zagato, the 378 GT is powered by a 6.2-liter V-8 from General Motors that makes 437 horsepower. New management had set up a deal to produce these cars in South Africa (where the Noble and Superformance Cobra were also built) by Hi-Tech Automotive. But somewhere along the way, it all fell apart. This was the only AC-badged 378 GT Zagato built (it also nearly entered full-scale production as the Perana Z-One but only 10 ended up being built. There may have been other AC’s but it is more likely that someone has re-badged a Perana). This fully road-legal and registered “pre-production prototype” has been owned and cared for by AC Heritage at the Brooklands Motor Museum. It’s an exciting piece from one of the world’s legendary marques. The estimate on this car is $130,000-$170,000. Click here for more info and here for more from this sale. 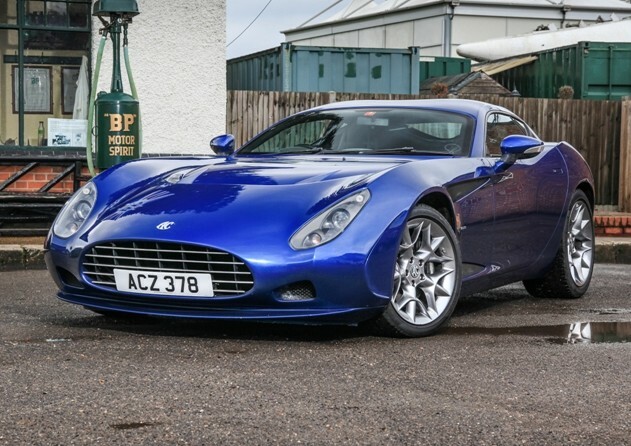 This entry was posted in Uncategorized and tagged 2012, 378 gt, ac, auctions, cars, historics at brooklands, prototye, sports cars, zagato by classiccarweekly. Bookmark the permalink.